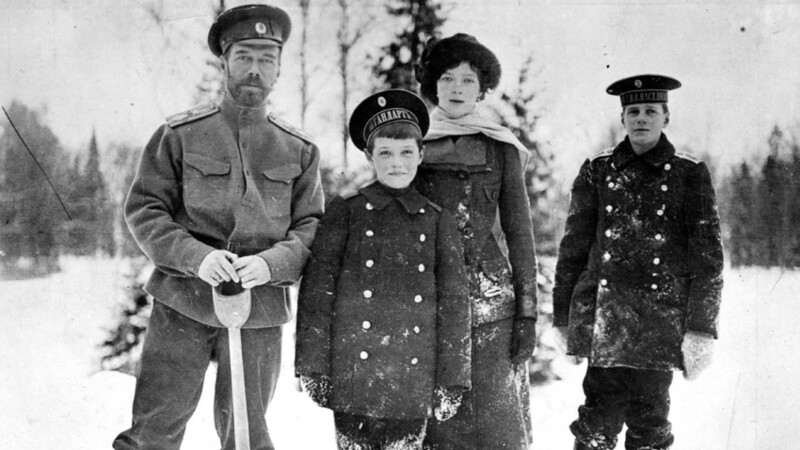 "It was not every day that Tsarevich Alexei could join family outdoor activities. In this 1915 photo he had just recovered from a bout of hemophilia, which had made one of his legs rigid. #Romanovs100"
Facebook, Twitter, Instagram, and Youtube will be revealing previously unknown details about the last Imperial family over the next 100 days. RT will publish previously unseen photos of the country’s last imperial family for the #Romanovs100 project. As many as 4,000 pictures and videos from the personal royal archive will be posted on four social media platforms: YouTube, Facebook, Twitter, and Instagram. The material will be presented alongside stories about Nicholas II, his wife Alexandra Fyodorovna, their kids, and the family’s friends. Each platform will have its own narrative style. For example, YouTube will show documentary footage revealing both the official and private sides of the royals, while several Twitter accounts (belonging to Nicholas, his wife, and their doctor) will tell stories from a first person perspective. British historian Helen Rappaport, author of The Romanov Sisters: The Lost Lives of the Daughters of Nicholas and Alexandra, will run the Twitter account of Nicholas’ daughters. #Romanovs100 is a collaboration between the State Archive of Russia and RT's #1917LIVE project – a series of Twitter accounts detailing revolutionary events. What happened to the pets of the last Romanovs?